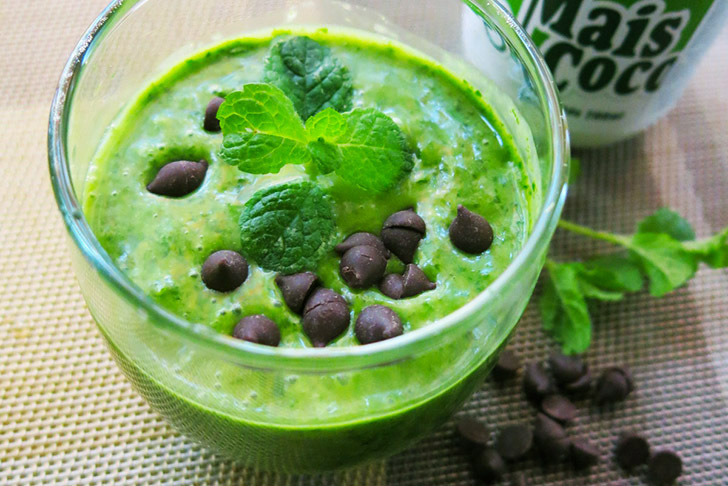 It may sound unconventional, but when you combine a bunch of fresh spinach, some avocado, coconut milk, deep green mint leaves and a bunch of chocolate chips, you've got yourself a mint chocolate chip shake that's much healthier than the traditional kind made with ice cream. 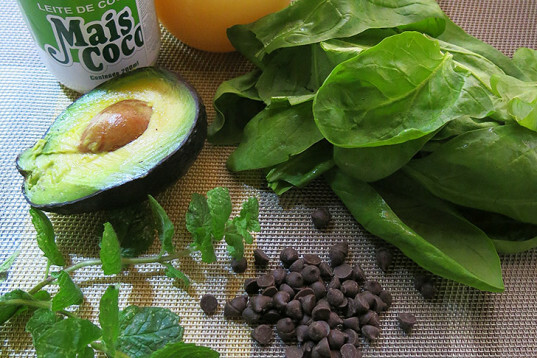 This deliciously creamy green drink is vegan, raw, gluten-free and full of nutrients. The spinach adds a beautiful emerald hue to it, but also supplies you with many wonderful benefits like Vitamins K, A and C --- plus it's a great natural anti-inflammatory. 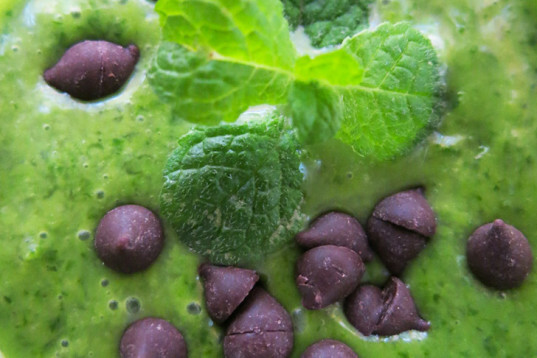 Perfect as a quick power-breakfast or to cool down with on a warm day, this Healthy Mint Chocolate Chip Shake is high in fiber, low-calorie and rich in vitamins. Easy to make, just toss everything in a blender, add some crushed ice and don’t forget to decorate. 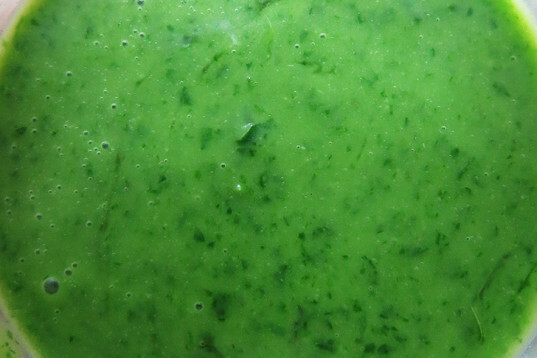 A few extra bits of dark chocolate and some fresh mint will attract both adults and kids to your drink. 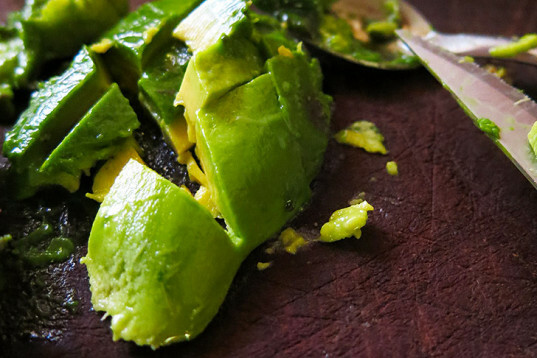 Release the avocado from its skin using a spoon. 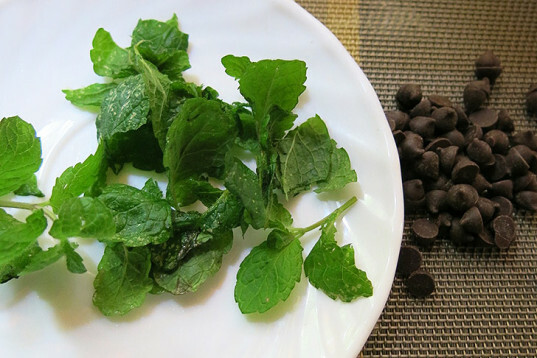 Wash and dry the mint leaves, remove the stems. 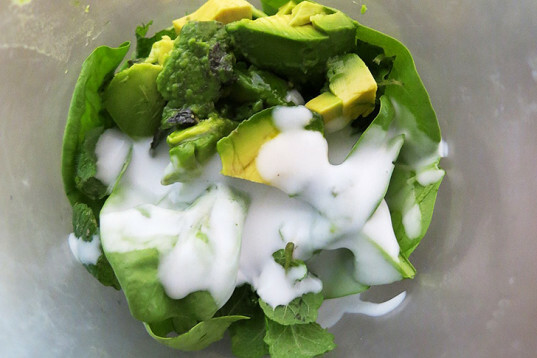 Blend or process the avocado, mint, spinach and coconut milk. Add a tablespoon of honey, or maple syrup. Add some water or ice cubes into the mix until you get a creamy but liquid shake. Add the chocolate chips, blend again to break them into small bits and garnish with some extra little ones and some fresh mint.